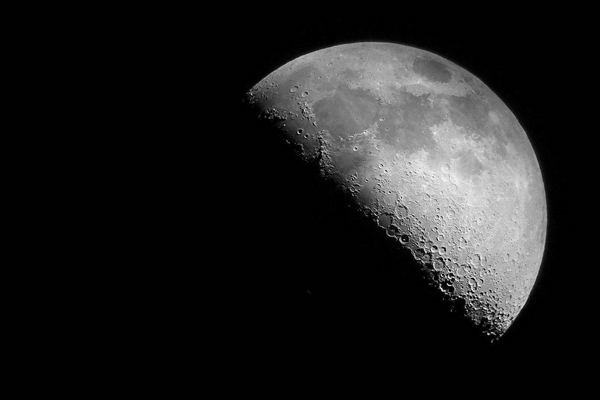 The moon has been a guide and object of admiration and mysticism during thousands of years. Agriculture, fertility, tidal patterns, human behaviour and many other activities have been linked to the different moon phases. 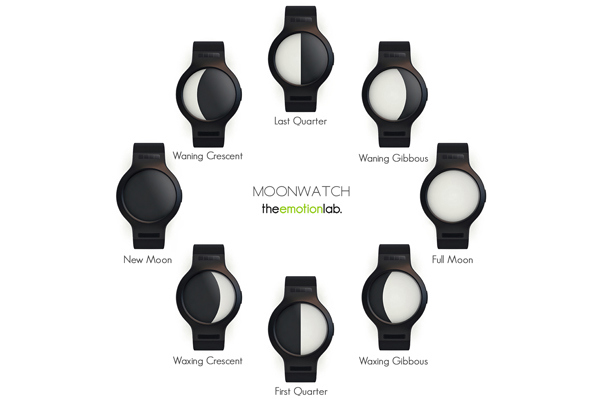 Moonwatch has been designed to establish a relationship between the moon cycle and a person’s emotional states. 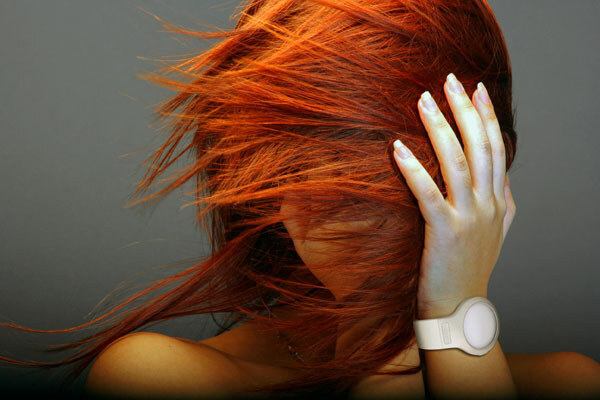 It’s a new concept of time based on nature which invites people to reflect upon and gain a closer understanding of their mood and daily life on earth. 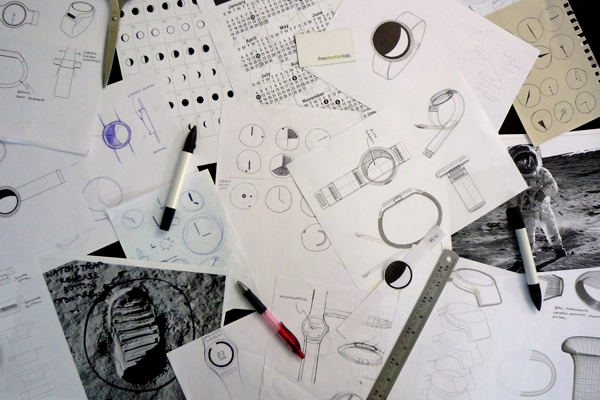 Moonwatch in use. (Photo by PreciousJas). 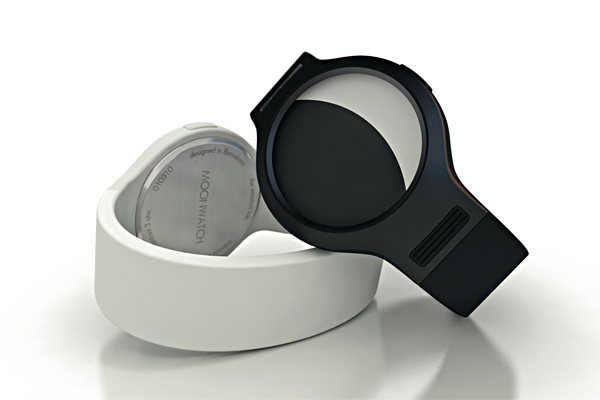 With Moonwatch, a person is always able to determine exactly what phase the moon is in. 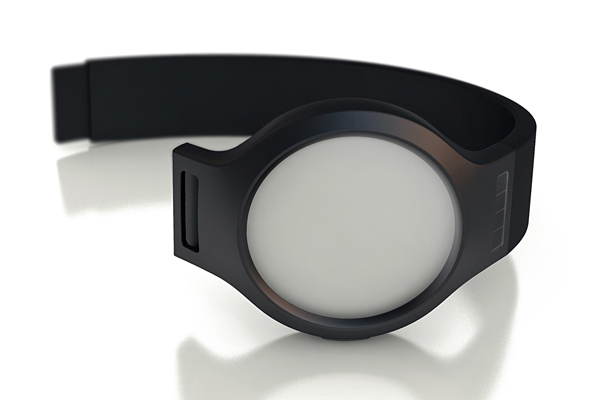 Clouds, pollution or a general ignorance to the moon cycle are no longer an issue. With time and observation, a person can find patterns which sync their behaviour or happenings to the different phases. 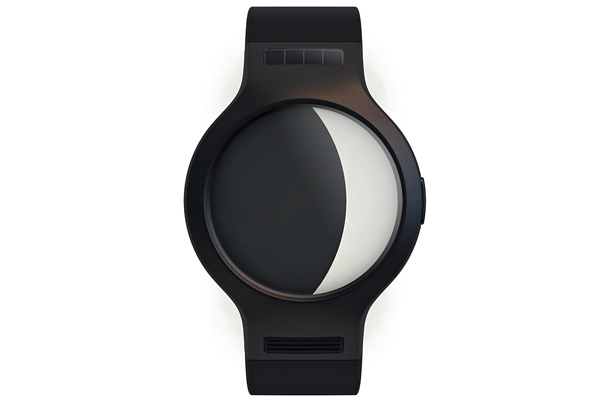 The Moonwatch also indicates the time with a user being able to switch between the two interfaces with a push of the button. 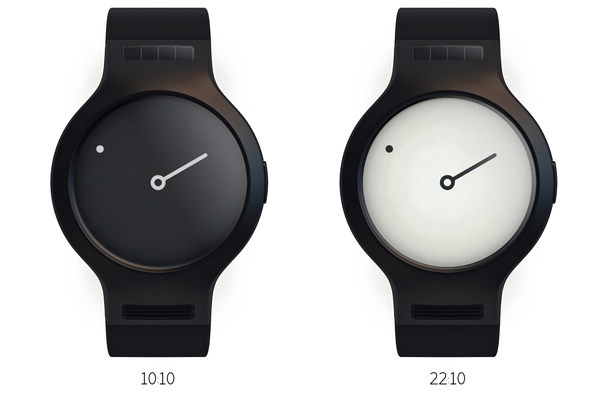 During the day, the time is indicated with a black background and during the night the interface changes to white in order to improve visability. 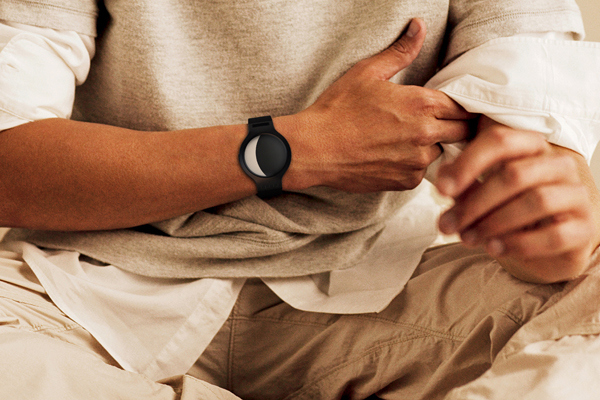 A small solar cell helps to charge the watch; another analogy which highlights the relationship between sun and moon. 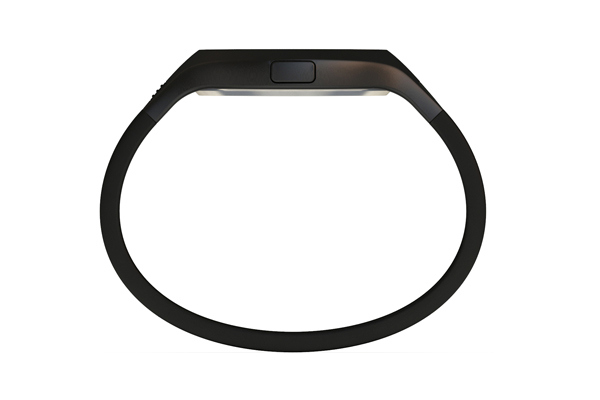 The watch’s simplicity and improvements with the interaction between watch and user complete the design, which fuses nature and technology to generate new emotions within the user.